Theresa May’s government gives in to Tory rebels in order to avoid a major defeat on the EU Withdrawal Bill. The government will now enter talks with rebels about accepting a new amendment which would give MPs an effective veto on the Brexit deal May secures from the EU. The concession means MPs could be given power to prevent Britain leaving the EU without a deal. The major last-minute concession by ministers means the government avoids defeat by 324 to 298. 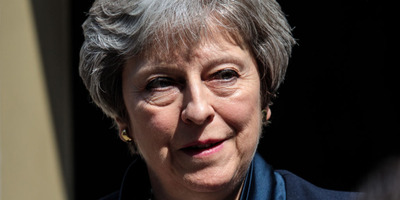 LONDON – Theresa May has narrowly avoided a humiliating parliamentary defeat on Brexit after making a major concession to Conservative rebels which could hand MPs an effective veto on her Brexit deal. In a day of drama at Westminster, ministers caved into the rebel demands for a “meaningful vote” on Brexit in order to prevent a defeat on the EU Withdrawal bill which could have triggered a leadership crisis for the prime minister. The concession means MPs could now be handed the power to seek to prevent Britain crashing out of the EU without a Brexit deal. Remain-supporting Conservative MPs had threatened to defeat the government on an amendment to the bill which would have given Parliament a wide-ranging veto to May’s Brexit deal, or even force a second referendum. However, ministers made a last minute offer to enter talks about accepting the bulk of an alternative rebel amendment which would give MPs more limited powers to prevent Britain from crashing out of the EU without a deal. The Lords amendment on a “meaningful vote” for MPs was defeated in the Commons by 324 to 298. The new amendment, proposed by Conservative MP Dominic Grieve, will now be considered when the bill returns to the House of Lords, with government whips indicating to the rebels that they will accept the bulk of the amendment. The amendment would effectively give MPs the power to prevent the UK from opting to crash out of the EU without a Brexit deal and is a major victory for Remain-supporting MPs in parliament. Ministers had initially refused to even consider Grieve’s amendment but moved to accept it at least in part, after whips signalled that the government were likely to lose in the Commons. A Commons defeat on the issue would have been a significant blow to May’s authority and risked triggering a leadership crisis for the prime minister. Leading Conservative rebels welcomed the “important concessions” by the government, but insisted that ministers must follow through on their concession or face a defeat when the bill returns to the House of Commons later this month. The result followed a day of high drama as a justice minister in May’s government resigned in order to back the amendment. Philip Lee MP told colleagues that he had been forced to stand down in order to prevent the government from taking actions that would be “detrimental” to his constituents. At times ministers engaged in public negotiations from the despatch box, with leading Conservative rebel Dominic Grieve and other rebels later leaving the chamber with the whips to discuss the concessions. The new concession is likely to prove hugely controversial with Brexit-supporting MPs, some of whom have told BI that they intend to oust May if she “backslides” any more on Brexit. MPs will on Wednesday debate a series of other amendments to the bill, which if passed, would seek to force May to change course and negotiate to stay inside a customs union and the single market after Brexit. The Labour party offered a cautious welcome of the government’s concession. “Facing the prospect of a humiliating defeat Theresa May has been forced to enter negotiations with her backbenchers and offer a so-called concession,” Shadow Brexit Secretary Keir Starmer said.